I have below data in Description Field of incident. Why is WebEx NOT Required? : It is a new component. And all the details are discussed with the functional team. How to change the price book of quote ? I am able to change the pricebook If quote didn't contain any lineitems. But when quote already have lineitems then i am getting below error. The value of a parameter contains a character that is not allowed or the value exceeds the maximum allowed length. Remove the character from the parameter value or reduce the value length and resubmit. If the error still persists, report it to our Customer Support team. Provide the URL of the page you were requesting as well as any other related information. Is there any way to create custom setting programmatically? Instead of create the custom settings manually from Setup-->Develop --> Custom Settings -->New , anyone know is any way to create them automatically in Apex class? I had created one Visualforce page and i want to implement that as a pop up on a Detail Page button. Right now when i click on a button it automatically move to that vf page. How to retrieve metadata from a Developer Edition Org? : Should provide a valid retrieve manifest 'unpackaged'. I would like first to retrieve all possible metadata from a Developer Edition org and then deploy this content to another Developer Edition org. Unfortunately you can not build change sets in a Developer Edition environment, so I am trying to retrieve the metadata with ANT. When trying to run the command line "ant retrieveUnpackaged" under the correct location, I am getting the error " Should provide a valid retrieve manifest 'unpackaged'." pointing to the line "unpackaged="unpackaged/package.xml"/>". Even when trying many things I could not find out what is wrong or how can I amend this, so the command creates a package. I have converted my lead to Oportunity, contact and account. I want display the above JSON in below table format in Visualforce page. Please help me. I am having three record type in opportunity like a,b,c.I want to restrict a user e.g Ram Sharma should not create any opportunity with record type b. Please suggest me how to do that.I cannot change his profile. The issue is that when I enter 12 in this field I should get 12,00. So it looks like my string is concatenated twice...could someone help? i have search code below where i can search a question with its beginning letter or if i give full question but i want to get the question even if i given any letter or word in middile of that question. please help me on this .I hope there might be wrong in like condition.Can i please know how can i solve this? if my query returns 2 rows then size of objectcontents wll be how much? I have some doubts around EchoSign App, If anyone has already worked on it or having any experience, Please help me for following scenarios! 1) I have a scenario where I want to send the Opportunity data with the Agreement for eSignature. so how can I achieve this? in "Authorized By" section of another object. I am new to the enviornment. I am trying to send https get request to a server from LWC but it doesn't work. I have added the remote server domaion to CORS & CSP trusted sites but nothing help. WIll appericiate nay help here. Access to XMLHttpRequest at 'http://.......' from origin 'https://ruby-enterprise-9373-dev-ed.lightning.force.com' has been blocked by CORS policy: Response to preflight request doesn't pass access control check: No 'Access-Control-Allow-Origin' header is present on the requested resource. I'm unable to cover below Query in Test class.Can anyone help me out? How Visualforce page block section hide & enable based on custom object picklist value ? How can we do Visualforce page block section hide & enable based on custom object picklist value ? As I am trying to show records in jquery. Onloading page it appears,but select some records which should be assoicated with it,then it disappear. How to display message using java script? I have VF page in which I have one command button if supose user insert the data suceesfully it should display message "Record is inserted" and if some error occur it should display message "Record is not created". i need to query to fetch Account Name,Contact Name,Subject,Issue Summary,Case Record Type from case object can any one please help me on this? 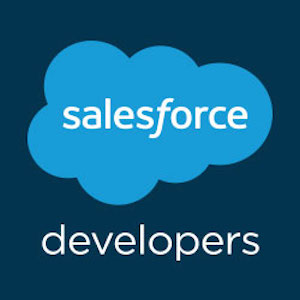 curl -X GET "https://api.status.salesforce.com/v1/instances/status/preview?childProducts=false" -H "accept: application/json"
When you are looking at the response from the API, that status has several possible values. What is included in "MAJOR_INCIDENT_CORE"? I assume the big clouds like Sales Cloud, Service Cloud, Community Cloud. Yes? What about the other services like Search, Analytics, Live Agent, and CPQ that have their own check-boxes on the status page. What is included in "MAJOR_INCIDENT_NONCORE" ? We are writing a monitor, and I'd like to know if it needs to pay attention to "MAJOR_INCIDENT_NONCORE" as a serious alert status to notify management and / or users of. If a formula field value on a record changes without the record being modified itself (last modification date), will the getUpdated() call of the replication API include this record's ID? All of our non-batch scheduled apex classes (where the limit is supposed to be 100 according to the documentation as we read it) suddenly started erroring out with Spring '15 saying the limit is 5. These are NOT batch jobs. We have activated FlexQueue anyway. I tried making a case with SF but could not get past the standard support who pointed me to the batch limit documentation and flex queue. 3) If there are known workarounds. I had scheduled around 22 Jobs till last Friday on on SF Org with different schedules. All these 22 jobs were visible in Scheduled Jobs Tab. Starting from this Monday(16th Feb 2015) I'm getting an Error : System.AsyncException: You have exceeded the maximum number (5) of Apex scheduled jobs when I try to schedule the same number of Jobs. Its allowing only 5 Jobs to be submitted. Org might have been upgraded to Spring 2015 over the weekend. As per the Spring 2015 notes, we can use Apex Flex Queues to shcedule upto 100 Apex Jobs. We tried activating the Apex Flex Queue from Critical Updates section, but still the issue persists. Need advise on what can be done to get the limit back to 100. This is weird.. Never thought I've encountered that before. Is it new...? The following code works, just as you would expect. This is really against what I have believed for a long time that VF is case insensitive. Note: I originally had var="Contact". My above code, var="CONTACT", is simply for illustrations.